These three Pacific White-sided dolphins were caught as by-catch in a drift-net off the coast of British Columbia in 2005. This mature male and female with a younger female were among the five and represent one threat our fisheries pose to cetaceans. 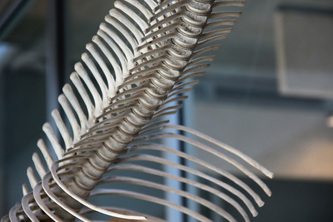 Each dolphin has an internal steel supporting armature and is fully suspended by thin stainless cable. 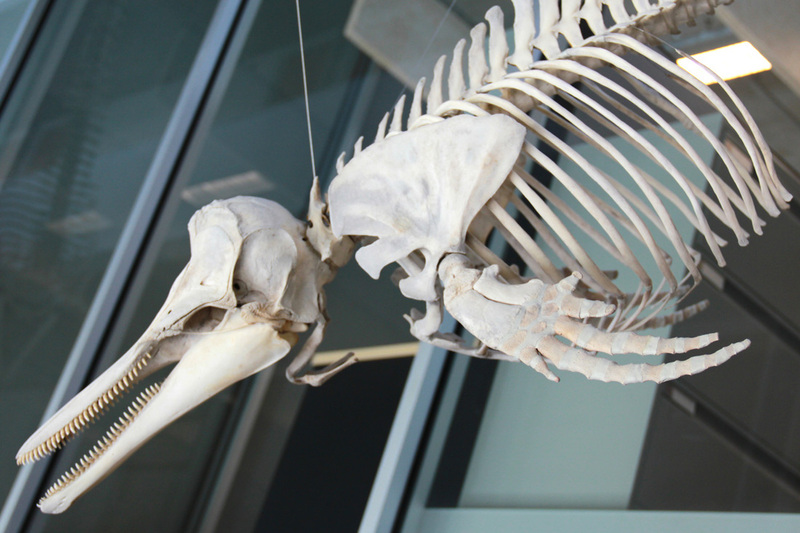 This installation shows the dolphins playfully vocalizing, turning and diving through the water. 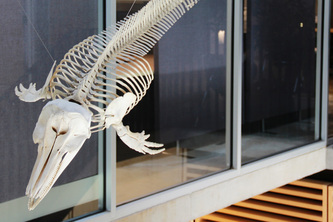 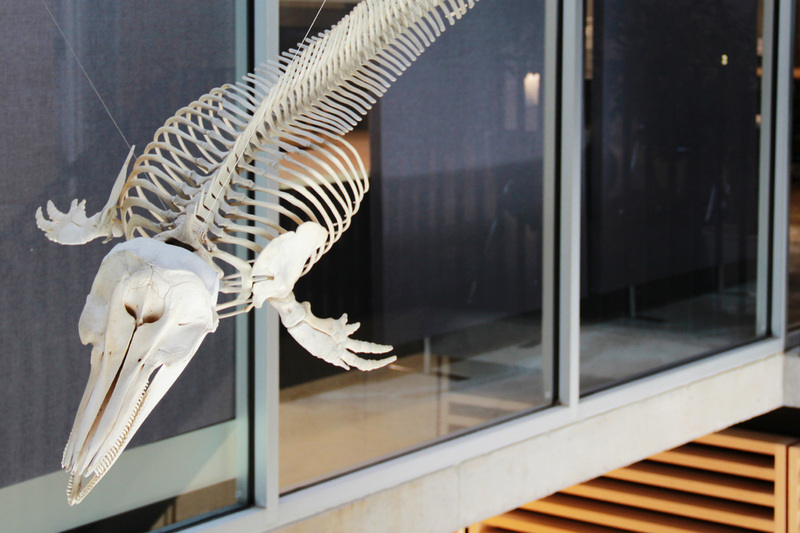 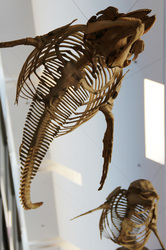 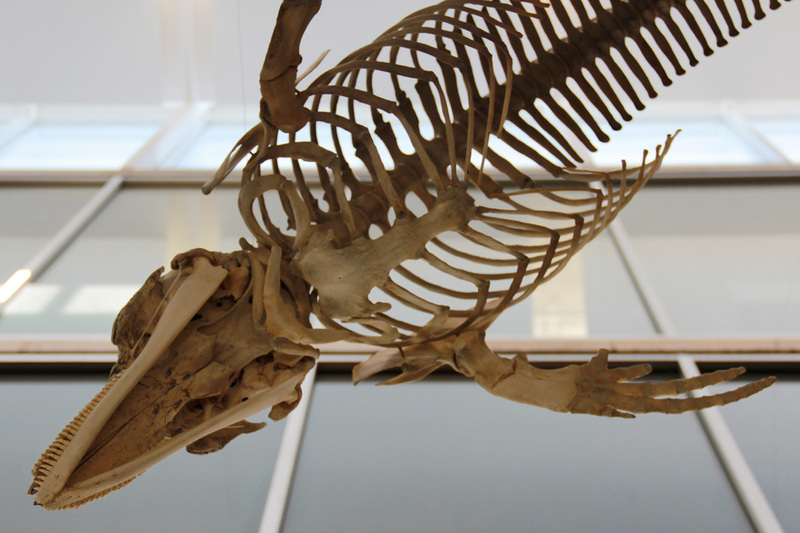 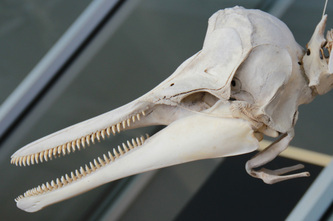 These dolphins are held within the University of British Columbia's Skeleton Project collection.